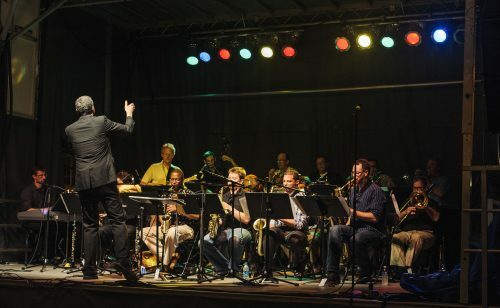 Bill Tiberio–concert and jazz band instructor at Fairport High School, University of Rochester, Ithaca College, and SUNY Geneseo–directs the ensemble. Educators and related professionals interested in performing in this ensemble should contact Bill directly at wtiberio@gmail.com. If you are not a current music educator, please consult with Bill directly before registering.